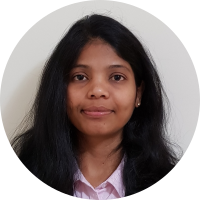 This Online Training Course on Microsoft® Project 2013 (MS Project) Certification, is delivered by a project manager with prior experience at Microsoft, USA. 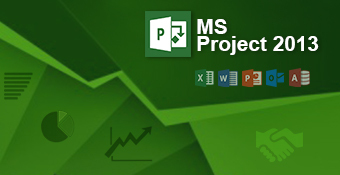 Microsoft Project is a project management software program, developed and sold by Microsoft Corporation. It helps Project Managers to organize projects by developing a plan, assigning resources to tasks, tracking progress, managing the budget and analysing workloads. This course aims to help participants know how to use Microsoft® Project 2013 application to help organize their daily project management work, how to begin - plan - execute - monitor - control and close a project, how to effortlessly plan various tasks, schedules, resources and budget to accomplish the project. At the end of this course, participants will be able to manage projects using MS Project 2013, schedule and organize tasks, manage resources, track project progress, analyse Earned Value, create and manage sub-projects, import export and share data to and from Microsoft Project 2013, create impressive presentations and more. Participants will also be well prepared to take the Microsoft Exam 74-343 on Managing Projects using Microsoft Project 2013 that has credits towards the MCP and Microsoft Specialist certifications. The exam 74-343 is an online exam consisting of 54 multiple choice questions with a duration of 2 hours. Project or Program Managers, Project Leaders, Resource Managers, Schedulers, PMI®-PMPs, PMO, MCP and Microsoft Specialist certification takers for Exam 74-343 Managing projects with Microsoft Project 2013, administrators & business decision makers who need to understand task management, scheduling, timelines etc using MS Project & graduate and post graduate students who want to understand this MS Office tool can enrol into this course. Participants to this course should have ample understanding of Project Management frameworks, key terms and related concepts. It is also recommended to have an experience in managing projects(s) and resources and have basic understanding of other Microsoft applications. I took this course because the position I want uses this software and being certified will give me an advantage over others that apply for it. The course is exactly what I expected and the instructor seems very proficient with it, it was a wise choice for me. Simple and clear lecture modules.